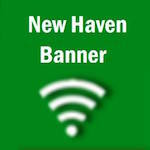 --Recently a group of thirty members of the New Haven German-American Club returned from a visit to Borgholzhausen, Germany, New Haven's sister city. The group spent four days living with host families in Borgholzhausen. While in Borgholzhausen several in the group were able to visit ancestral home sites and getting a chance to meet distant relatives. News Brief - A new study shows Missouri’s economy will grow slowly over the next six months. That’s the opinion of Creighton University’s Economic Forecasting Group. GOODMAN, Mo. — Among members of the Missouri dog breeding community, the wounds of 2010 have yet to heal. That year, Missouri voters approved a ballot measure that strengthened regulations on the industry dealing with treatment of animals. Much of the law was overturned by lawmakers in the 2011 session of the Missouri General Assembly, with the support of Democratic Gov. Jay Nixon, who signed compromise legislation brokered between agriculture and animal rights stakeholders. New Haven, Mo. – Saturday night The Discovery Expedition of St. Charles, Mo. set up camp after arriving in New Haven as part of reenacting the same voyage that Lewis and Clark took over 200 years ago. COLUMBIA, Mo. — With renewed support from some national conservatives, Republican U.S. Senate candidate Todd Akin hit the campaign trail this week to reenergize supporters behind his embattled campaign. About two dozen supporters showed up for a campaign event at the Republican Party “Victory” office in Columbia on Thursday. Earlier in the day, a couple supporters showed up for a campaign rally, turned press conference at the state capitol in Jefferson City. I know that your birthday started already last night where you are in Okinawa, but it is your birthday here in Beaufort today!